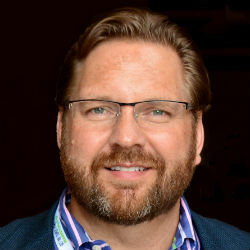 5 Questions with Lee Odden, CEO of TopRank Online Marketing - Wood Street, Inc.
Lee Odden is one of the most sought after minds in online marketing today. His book, Optimize, is a must read for any small business owner or marketing professional. Lee’s accomplishments are many. His bio is too impressively long to just copy and paste here and so devoid of fluff that I can’t easily narrow it down to a few key highlights. Lee has graciously accepted my offer for this 5 questions interview and his answers don’t disappoint. Enjoy! Question One – What is the New Normal for Marketing? Your book, Optimize is one that I recommend to all our clients. This book shows in greater depth than any other I’ve seen how to effectively merge SEO, Social and Content with real examples and great advice. Do you think there will come a time where we no longer need to talk about merging these things – that integrated marketing is the norm? I think what needs to become the norm is a customer centric view of marketing. Integration is a means to an end – creating a great customer experience where your brand becomes the best answer wherever customers are looking. I think more companies are adopting that view and growing their skills at creating, optimizing and promoting compelling content wherever it might intersect with a customer at the moment of need. The challenge is organizational – how do you break down the silos that serve distinct marketing and communications needs in an organization? Integration isn’t going to happen without cooperation between marketing, social media, PR, advertising and even operations, legal and customer service. Again, the answer is a customer centric approach. Customers are the common ground to break down silos and get departments working together to achieve a common brand goal. Question Two – Can you Teach SEO, Social or Content Marketing in School? We often hire college graduates fresh out of school. We’re often disappointed by what they’re taught (or not) about SEO, Content Marketing, etc. Do you think the schools will “catch up” or will it always be that real world experience is their only option for learning these disciplines? It really depends on the student. However, the norm is what you describe: recent college grads are not practically prepared to plan or implement substantial SEO, Social or Content focused marketing programs. But that’s been the case in general I think, for many years with recent college grads. What I think companies need to look for are graduates that were already creating things at University. Whether they are budding affiliate marketers that have been making their own websites since they were 15, or those who have been active in school organizations like DECA, volunteering, interning, working extra jobs and that sort of thing. Recent grads with those experiences have had an opportunity to be challenged, solve problems and experience some of the ambiguity of the world to then make sense of it. In other words, recent grads that are passionate about learning and trying new things with a desire to succeed are more teachable and further along. “Smart, creative and focused on results” are the characteristics we look for in those hires, whether they have 1 year or 10 years of experience. Question Three – How Do You Avoid Shiny Object Syndrome? You discuss mobile in Optimize – how to integrate it into your overall strategy. Do you think digital marketing is ever going to move out of the shiny object phase? There will always be shiny objects in the digital marketing world. Some are solutions to problems and become viable businesses that serve an important function. Others are simply solutions looking for problems to solve, creating big buzz only to fade away after the seed money runs out. Those are the shiny objects to watch out for. Remember that customer focused approach I mentioned earlier? That comes in to play with new technology distractions too. By understanding how your target audience discovers, consumes and acts on information, you’ll always be informed of what’s worth paying attention to that’s new. Question Four – How Do You Avoid Google Penalties? Google is always shaking things up with their cuddly updates. We just had Panda 4.0. Few small businesses have the time to keep up with or understand these. Do you have any “best practice” advice for them to avoid penalties in the future? This might seem harsh, but the easiest way to avoid a Google penalty is not to act stupid, greedy, impatient and too proud of the gains achieved by being aggressive with SEO. Very few people that are smart, patient and hungry to earn more business would risk their livelihood over marketing tactics that could cause some kind of Google penalty. It happens, sure. But a business that hustles a great product to get people talking, sharing and buying has a big advantage over exacting keyword density, perfect HTML, massive numbers of seemingly organic anchor text links and a righteous schema implementation. As increasing numbers of SEOs come to terms with the fact that marketing is the business they’re in, not making search engines money, small business owners are also realizing the best practice for them is to serve their customers with great content. Also to promote that content and optimize the marketing performance of that content. Question Five – How Important Is Content? I love the Chapter in your book “If It Can Be Searched, It Can Be Optimized: Content Optimization.” Many clients still talk about SEO like it’s some mysterious coding art. There is coding to it but they miss the importance of optimizing the content. What are some of the biggest mistakes or missed opportunities you see businesses making with their content optimization? With a small website, it’s usually an issue of making enough content to cover the topics prospects want to know in order to buy. The mistake a lot of small website owners make is to focus only on optimizing the content that they have, vs figuring out what customers actually want. For example, imagine you are a small business selling landscaping and lawn care services. There’s a temptation to think the only keywords to go after are “landscaping services + geo served”. When in reality what customers want are things like “landscape designs” as they develop ideas for the changes they want to make. A company that achieves visibility during the beginning, middle and end of the buying cycle has a distinct advantage over a company focused only on transactional keywords. That is an example of a huge mistake and missed opportunity in my book. Not being customer centric. I’ve never been to Minneapolis. I’ve always imagined that there was a big purple statue of Prince there, is this true? 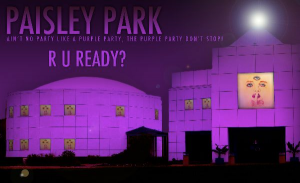 However, Prince does have a large place called Paisley Park. Really enjoyed reading this article Jon, and thanks for informing me about Lee Odden, definitely adding his book “Optimize” to my to-read list. To touch on the concept of teaching SEO and content marketing in school. I think it’s similar to many things, entrepreneurship being an example. It’s difficult to teach without real world experience. Which is why Lee Odden recommended students who had embarked on some of it on their own would be better suited. A lot of it is trial and error and many times the text book approach does not work out the way its intended to. Many other subjects are similar to this as well, that level of one’s comprehension is difficult to measure without any field experience. Thanks for writing such a stimulating article:). It’s always great hearing the thoughts of influencers. What I like most about the interview is how Lee focuses on being customer centric. With all the do’s and don’ts in marketing, most marketers tend to be a bit too technical on going about it. They focus TOO MUCH on keywords, design and SEO (among many others). While these three definitely have their roles in being customer centric, there are other more direct methods to going about it. Ex. Creating copy that REALLY solves their customers problems even if it isn’t within their targeted keywords. Yes, being a Youtility as Jay Baer puts it!